The Lowland-Eastern Mari people group speak a common Meadow-Eastern Mari language with its regional features, which differs from the Mountain Mari who speak the Mountain-Mari language. 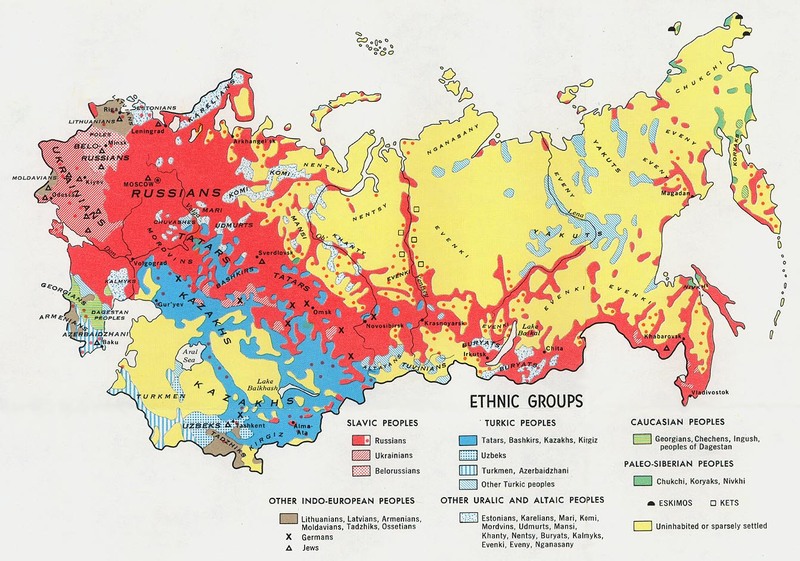 During the Soviet Era, large numbers of ethnically Russian people were moved into traditionally Mari lands, significantly changing the demographics of the region, and making the Mari a minority in many parts of their homeland. Mari people were generally dis-empowered by these changes. What's more, Communist policies – officially aimed at combating undue influence of nationalism in a multi-nation union. Among the Eastern Mari is a subgroup known as the Ural Mari – a group of about 24,000 Mari – who live in the southern part of Sverdlovsk Oblast. Their forefathers migrated to the Urals back in the 16th century, fleeing enforced Christianization. The Meadow Mari live along the left bank of the Volga in Mari-El Republic. The Eastern Mari live in Bashkortostan, Sverdlovsk Oblast, Kirovsk Oblast, and Perm Kray. Orthodox Christianity was adopted by the Mari in the 16th century after their territory was incorporated into the Russian Empire during the reign of Ivan IV "the Terrible". Adoption of Christianity was not universal, however, and many Mari today still practice Paganism in syncretic forms, or purer forms adhering to organized Neo-pagan Mari Traditional Religion organizations. Pagans constitute a significant minority of 25 to 40% of the Mari. Most Mari are members of the Russian Orthodox Church. The Meadow-Mari have also experienced Islamic influences. Certainly, religion has lost most of its previous strength over the course of the twentieth century. Compared with the local Russians, however, the Maris have, to a somewhat greater degree, kept their traditional religious habits. The traditional shamanist-animist religion of the Maris included a host of divinities, ancestor spirits, and supernatural beings personified in celestial bodies, clouds, rivers, earth, trees, and forests. The supreme god, Jumo, represented all heavens and weather together. The core of the site of sacrificial ceremonies and prayer meetings was a fenced section of untouched forest grove; there were separate sacred groves depending on whether they were for the prayer of the whole community, the clan, or the kin group. All domestic animals except pigs and hens were suitable for sacrifice. The participants in the ceremony—sometimes thousands of people—were dressed in white. * Scripture Prayers for the Mari, Low in Russia. * Pray that missionaries would feel called to move to Mari-El as a church planting team. * Pray that a church planting strategy for both the Low Mari and Eastern Mari would be developed.